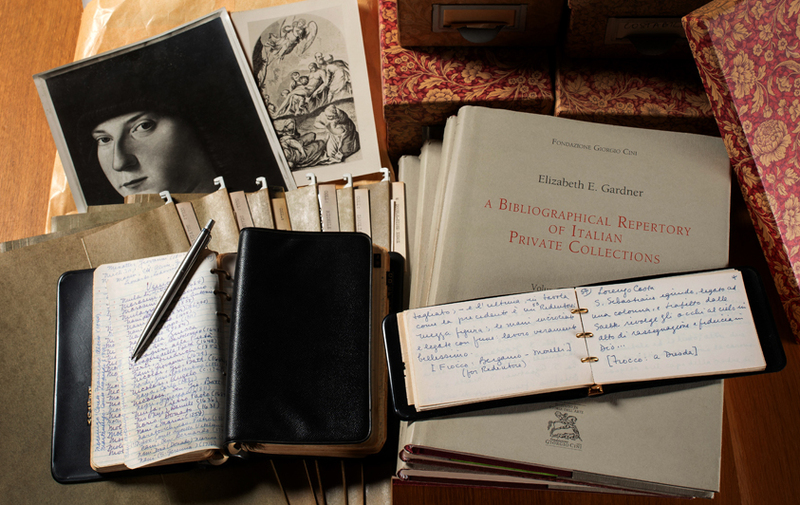 On 5 March, the last volume of Elizabeth E. Gardner’s A Bibliographical Repertory of Italian Private Collections will be presented: Volume V: Sabatello – Zweyer, edited by Chiara Ceschi and Sarah Ferrari (Verona, 2019). In 1998, the Fondazione Giorgio Cini began publication of the volumes that re-organise and update the considerable information on private collections in Italy collected by Elizabeth Gardner during her long career as an art historian and curator at the Metropolitan Museum in New York. The completion of the overall work with the publication of the fifth and last volume is, therefore, an important, necessary final step, enabling the scholarly community to explore and use this reference book in its entirety. One of the most original and fascinating aspects of the Bibliographical Repertory of Italian Private Collections is its structure and the method of investigation underlying its conception. This is not a work providing monographic insights into a particular type of collector or a specific geographical area but, on the contrary, it offers a detailed map of all the private collections throughout the Italian peninsula from the 15th to the 20th century. The Repertory entries thus make up a complex, multifaceted picture due to the overall aim of describing the evolution of the history of collecting in its many forms and types: from the Renaissance studiolo to the sumptuous displays in 17th-century palazzi and the subsequent intricate channels of the art-dealer market, described here in a new, detailed documentary enquiry.